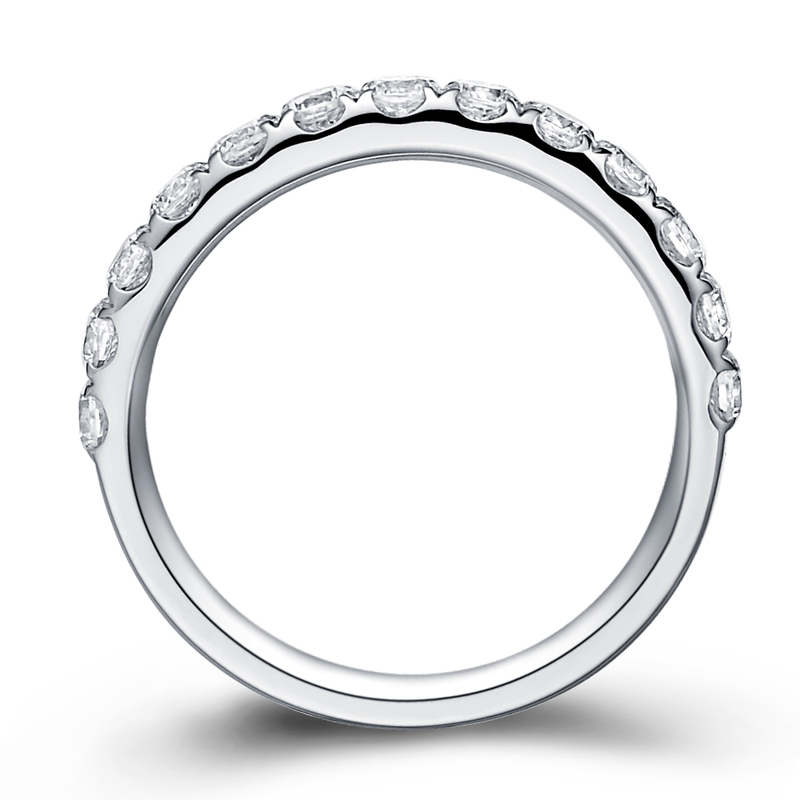 Classical half Eternity Ring set with round diamonds. The top/visible part of the ring set with diamonds. Total diamonds weight is about 0.6 ct. Very convinient in everyday life this ring were done by the Comfort Fit technology. 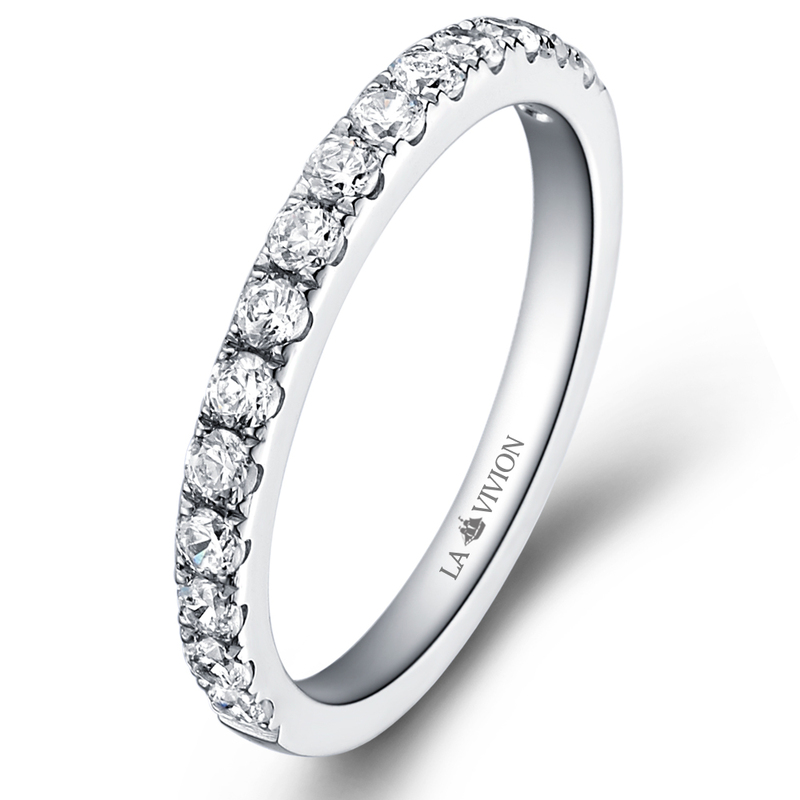 This ring is the perfect match to most of Engagement Rings.